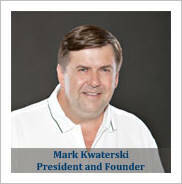 Kwaterski Construction, Inc. has been building and designing fine custom homes in Northeast Wisconsin since 1979. We offer a variety of services for our clients, including new home construction, remodeling, additions and everything in between. Our professional and experienced staff will guide you through the process of homebuilding or remodeling to ensure your satisfaction is guaranteed. As you contemplate the building or remodeling of your home, we invite you to review our website to learn more about our company, and then contact us for a personal meeting to discuss turning your dreams into a reality! 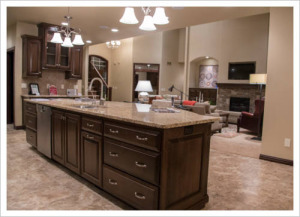 As owner and founder of Kwaterski Construction, Inc., I have been responsible for the building of over 600 custom homes in and around Northeast Wisconsin. I have been a Contractor for almost 35 years and pride myself and my company on our quality work and expertise. Our greatest asset at Kwaterski Construction, Inc. is our dedicated staff of professional carpenters, finishers and designers. Most of my employees have worked for me 20 years or more and are simply the best at what they do! Kwaterski Construction is proud to announce its partnership with Jake Vande Voort and his company, Modern Built Homes. 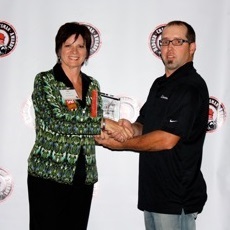 Jake has been in the home building industry since 1991. Jake is continually educating himself with all of the new and modern home building procedures and is always looking for new and more efficient ways to build a home. He is a forward thinker and is open to just about anything when it comes to home construction. Jake will be our eyes and ears out in the field! The post New Home Interior appeared first on Kwaterski Construction. The post Attention to every Detail….Superior Craftsmanship appeared first on Kwaterski Construction. The post More Quality Completed Homes appeared first on Kwaterski Construction. The post Recent Projects appeared first on Kwaterski Construction.